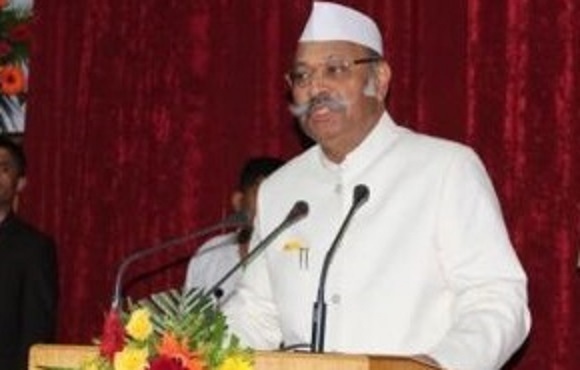 Outgoing Governor of Sikkim, Shriniwas Patil, on Saturday has conveyed his greetings and gratitude to the people of Sikkim on the eve of his demitting the office as Governor of Sikkim. Patil said the cooperation extended to him by government agencies, public representatives, NGOs and the people contributed immensely to his ‘gubernatorial obligations and responsibilities’ and made his stay at Raj Bhawan truly ‘memorable and worthwhile’. “Sikkim has exemplified the cooperative federalism in letter and spirit and has remained in the forefront when it comes to the participation and implementation of central flagship schemes, ensuring optimum results. Sikkim has shown the rest of the country how national interest and the aspiration of the State can be synergized for common goal of economic growth, peace and happiness,” said the Governor. Patil added that Sikkim has enormous possibilities for future. “The unparalleled natural endowments and its immensely talented youth population can propel this beautiful State to even greater heights of progress and prosperity. I call upon my dear young minds to expand your vision and start dreaming beyond the confinement of borders. You have what it takes to conquer the world if you start believing on yourself,” he said. “It was indeed a privilege to remain a witness as its first citizen, Sikkim’s journey towards progress and prosperity over the last five years and share the joy and agony together with my Sikkimese brethren. I will cherish these fond memories of living in harmony with nature in true sense, which perhaps will be my biggest takeaway as Governor. Sikkim will always remain in my heart and I look forward to witness more stories of Sikkim’s accomplishment and glory in the days to come,” he added. My heartiest greetings and best wishes to my dear Sikkimese once again,” said the Governor. Meanwhile, Ganga Prasad Chaurasia, the Governor-designate for Sikkim, is taking oath of office as the new Governor on Sunday. Acting Chief Justice Meenakshi Madan Rai would be administrating the oath to the Governor-designate during the swearing-in function at new Raj Bhawan.